If you’re a fan of pleasant weather, light crowds, and short lines, the month of September is a great time to visit Disneyland. After Labor Day weekend (the first weekend of the month), Disneyland crowds taper off. They stay low until Halloween Time starts later in the month. During September, Disneyland is open 10 to 13 hours per day on Mondays through Thursdays and 13 to 15 hours per day Fridays through Sundays. When hours are shorter, you can also expect an abbreviated entertainment schedule, except on weekends and Labor Day holiday. California Adventure hours may be shorter, so check September hours up to 6 weeks in advance. The average high at Disneyland in September is 77 degrees, and the average low is 63 degrees. It is extremely unlikely to rain, and humidity averages about 65 percent. At the extremes, Anaheim's record low temperature was 30 degrees, and its record high was 108 degrees. Mid-month, you will have about 12.5 daylight hours to enjoy the parks. If you want to compare September weather to the rest of the year, use the Disneyland weather and climate guide. They don't happen every year, but when dry Santa Ana winds blow from inland toward the coast, they bring hotter than normal temperatures. The only way to know they are going to happen is to check a short-range forecast a few days ahead of time. Midday, Disneyland feels a little hotter than you might expect, but you'll still want to pack a couple light layers. It cools off quickly at dark, and if you're going to watch Fantasmic! or World of Color up close, you might want a water-resistant layer because it's possible to get wet. As summer ends, and fall kicks in, a few seasonal events start to take over the park. Halloween Time: Prepare to see Disney Villains, a haunted mansion, pumpkins everywhere, and more Halloween-themed festivities and activities in the park. Mickey's Halloween Party also occurs on select nights where guests are encouraged to dress up in costumes and even go trick-or-treating around the park. Halloween Time starts around the second week of September and runs through October. Early September is a good time for light crowds and short lines, but that all changes the day Halloween Time opens (toward the end of the month). You can use this crowd forecast calendar to get a day-by-day prediction. You'll find it hard to get significant ticket discounts in September, especially after the Halloween decorations go up. Use the Disneyland discounts guide to find your options. Hotel costs will go down after Labor Day, especially mid-week. 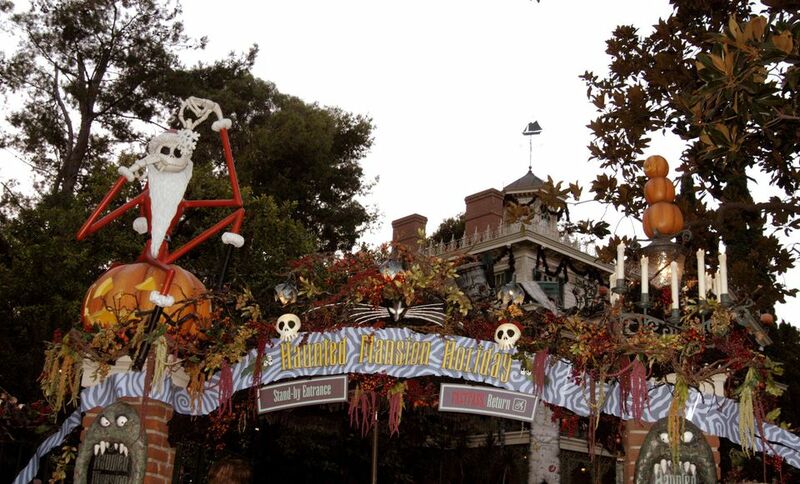 Haunted Mansion closes in early August to get re-themed as Tim Burton's Nightmare Before Christmas for the holidays. Space Mountain closes for a few days, re-opening as Space Mountain Ghost Galaxy. Touringplans.com keeps a list of which other rides are expected to be closed for refurbishment. If you want to enjoy Disneyland's Halloween-themed decorations and activities, late September is a good time to go. Otherwise, your perfect time to visit Disneyland depends on your likes and dislikes, your schedule, and of course, the weather. Start with the helpful tips about the best time to Visit Disneyland, then check the pros and cons of visiting Disneyland in fall to find out more about going during that time of year.